Motorola is considered as a trailblazer in the Android phones industry and in fact it had rolled out the first ever commercial mobile device. However, the firm almost vanished before being taken over by Google and at a later stage, it was acquired by Lenovo. They introduce new devices now, using the ‘Moto’ brand name. The Moto G6 Play is the latest addition to their impressive product catalogue. It is a mid category Android-based mobile phone that is housed in an all-metal chassis. The price of Motorola Moto G6 Play price in India starts from INR 18,999 and is due to be rolled out in January 2018. The Motorola Moto G6 Play is available in multiple colour variants such as Grey, Black, and Gold which are also priced similarly. In terms of hardware, this latest Motorola Android smartphone draws its energy from an Octa-core Snapdragon chipset which clocks at 1.4 GHz.This is mated with 4GB RAM that promises lag-free and smooth performance while playing games and multitasking. On the software ground, the device boots on Android 8.0 Oreo operating system out of the box. In the imaging department, the device presents two 16 Megapixel shooters; one at the rear and one on the front. The 16 Megapixel back sensor which is accompanied by an LED flash is designed to snap realistic images even in the dark areas. One can as well indulge in self-portraits and video telephony thanks to the front 16 Megapixel snapper. The camera also comes with other options like Geo-tagging, touch focus, face detection, panorama, auto-HDR, and Autofocus. The device appears slime and evokes a premium feel. The smartphone as well ships with a fingerprint scanner which is housed in the home button at the front. Users can store more than one fingerprints. On its face, the Moto G6 Play features a 5.5-inch Full HD display, which uses IPS LCD technology.This is paired with broad viewing angles that output a wonderful visual experience while indulging in games and replaying videos. When it comes to storage, the device features a 64GB default memory space on board. This is expandable up to 256GB with help of a microSD card. You get additional storage space to accommodate media files, apps, presentations and other personal files. So you need not worry about the shortage of storage space at all. As far as the battery is concerned, the Moto G6 Play boasts of a Li-Ion 4,000mAh battery which is adequate enough to last for a whole day even considering heavy usage. Motorola Moto G6 Play is a premium Android smartphone flaunting an awesome design, splendid cameras, and sturdy configuration. With a 16MP shooter on the front, it is a boon for the selfie crazy people. 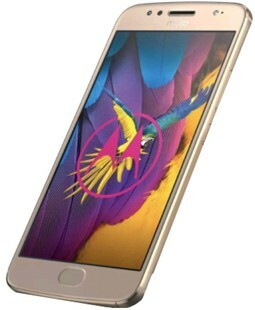 Overall, if you are scouting for a trendy large screen android smartphone with wonderful cameras on board, the Motorola Moto G6 Play is one of the finest options in its price band. Motorola Moto G6 Play full specs and reviews as of Apr 2019. Buy it here!